Woodworking machine、CNC lathe、CNC milling machine、CNC surface grinding machine、Bench lathe, etc. 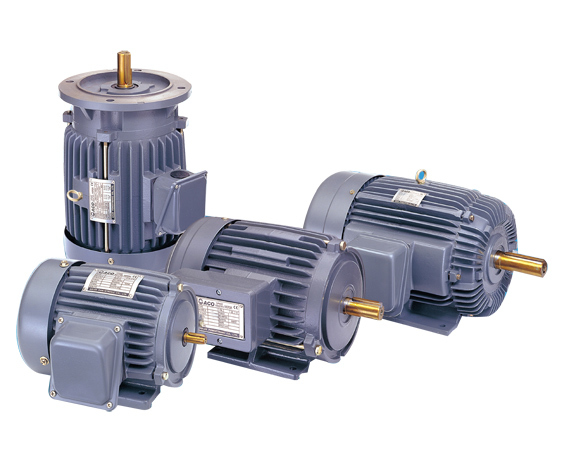 Inverter Duty Motor is designed for optimized performance to run with variable frequency drive. The Inverter Duty Motor has independent cooling fan to cool down motor. It can operate for wide speed range without any heating problem. A standard motor driven by the inverter generates slightly less power than it does. When it is driven with commercial power supply, also, the cooling effect deteriorates in low speed range, then the motor temperature rising increases. Reduce load torque in the low speed range. Allowable load characteristics of the standard motors are shown in the figure. 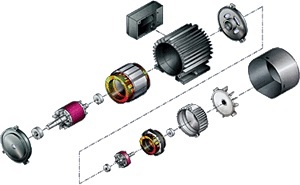 If 100% continuous torque is required in the low speed range, use an inverter duty motor is reliable.